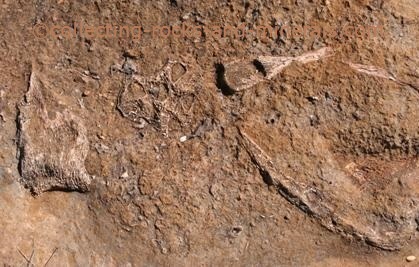 On this page is some basic help with rock identification. First, decide whether the rock you have picked up is a sedimentary, metamorphic, or igneous rock. An igneous rock has got an arrangement of mineral crystals. It has got no foliation, and no fossils. 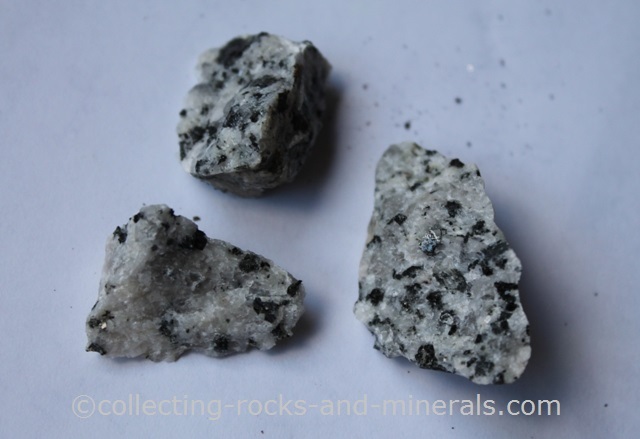 Granite - a typical igneous rock with interlocked mineral grains. A sedimentary rock can be identified by visible sedimentary layers. But not all sedimentary rocks do have sedimentary layers. They do, however, have a special look - fine-grained ones have a very homogenous structure, others contain larger pebbles or fossils. They are not foliated. Sedimentary rocks can be quite weak, you can try its hardness by hitting it with a hammer. A typical, "sandy" sedimentary rock with fossil. A metamorphic rock is often foliated. If it's not, it is still different from igneous rocks because it does not have mineral crystals; and it differs from sedimentaries because it lacks bedding layers, fossils, and the sandy, homogenous structure. A typical "shisty" (layered/foliated) metamorphic rock. 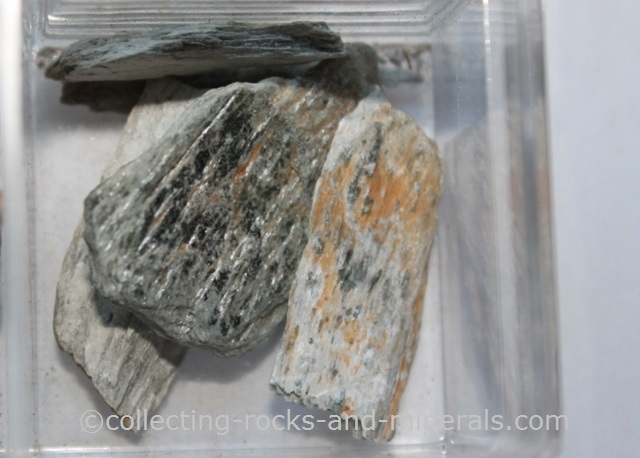 Once you know what type of rock it is, establish whether it is coarse, medium or fine grained. A rock is coarse-grained if you can see its grains with your bare eyes. With medium-grained rocks, you need a hand lens to see the grains separately. And with a fine-grained rock you need a microscope. If you rock was an igneous rock, look at its colour. If you rock was a sedimentary rock, look at what minerals you find in the rock. If you rock was a metamorphic rock, look at whether it is foliated or not.